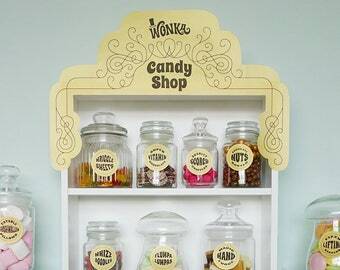 Printable kit to style a Wonka themed candy buffet. 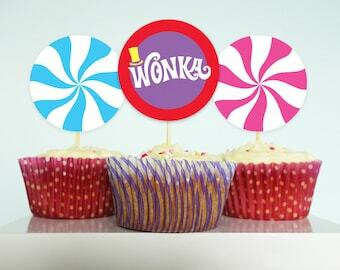 Perfect for your Charlie and the Chocolate Factory party, Willy Wonka birthday party or baby shower. 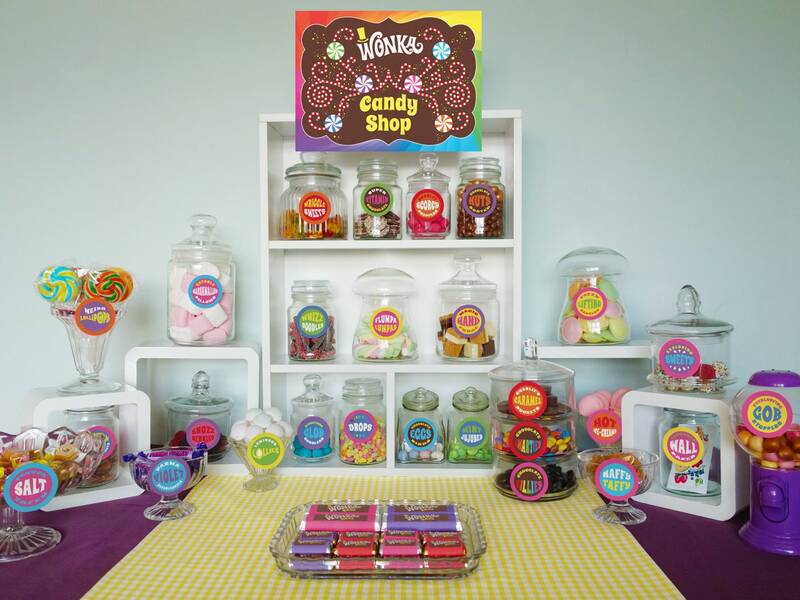 For the candy jar labels I looked up all the different Wonka candy from Charlie and the Chocolate Factory, and other books by Roald Dahl... and created custom labels for all the candy. 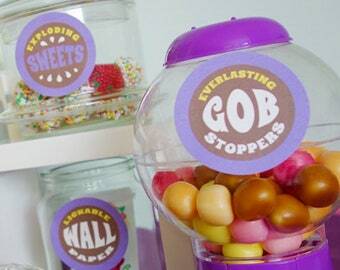 I added some new ones e.g. Veruca Salt Taffy, Flumpa Lumpas, Parma Violet Beauregardes... Over 40 Wonka candy labels included! 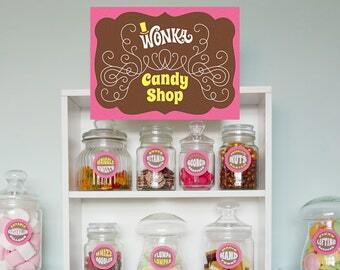 With editable PDF file so you can add any extra labels you need for your own Wonka candy shop!